302 - How to Achieve ELA General Learning Outcome 5 in an online class. With a BA and a BEd with majors in English Language Arts, Lois Henderson has been an educator for 23 years in adult education. She started her career at Alberta College and has spent the past ten years at NorQuest College where she is currently the team lead for upgrading in Communication Arts in the Faculty of Foundational and Intercultural Studies. 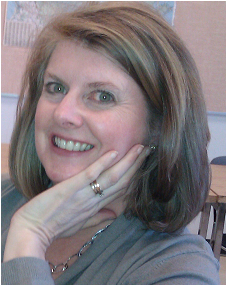 Lois has developed curriculum, conducted research, served on task teams and has been a department head and a coordinator. In faculty associations, she has served as vice-president, secretary, social co-coordinator and board representative. Her first love remains teaching. Lois is happily married and has a teenaged son. Outside of work, she stays busy as a volunteer with her son's hockey and lacrosse teams. For personal enjoyment, she loves golf, reading and cooking - especially while vacationing in Hawaii.